Q. How did you turn the match around? BELINDA BENCIC: With fighting, with staying in the match. I’m happy I didn’t give up. I didn’t give her any free points. I was still there. Then she gave me something, as well. Really pleased that I made her play those shots, as well, do what she does to me. Yeah, really pleased about that. Q. You played such a late, emotional match last night. How did you turn around physically and mentally? BELINDA BENCIC: Actually, I gained a lot of confidence with this match. Physically I was feeling fine. I was not sleeping very well. But before I had a nap, I ate, had another nap, then I ate (smiling). Yeah, you know, the day is long when you’re playing at 7:00 or even later. I recovered fine. Mentally it gave me confidence. It was good. Q. At what point today did you feel you were back in it, and you felt confident in pulling it off? BELINDA BENCIC: Yeah, I mean, it’s 3-3. I was saying to myself, Okay, you got this match, you can turn it around. I wasn’t sure. Of course, at 4-4 anything can happen. Then I turn it around. In the third set, I told myself I have to do the same thing, can’t give away any free points, don’t be too excited, don’t try to end the rally too soon. 3-0, of course when you’re in the lead, you’re starting to realize you can win. Sometimes you can get a little bit tight. I’m happy that I just played constant what I had to do. Q. Back-to-back Hopman Cup appearances with one of the legends of the sport. Has it helped you in any way? If so how? BELINDA BENCIC: It would be wrong if it didn’t help me. I definitely think the Hopman Cup gives me so much. It’s actually my favorite event of the year. Yeah, you know, just playing with all those champions, there were so many this year, it’s amazing to playing against them, to playing with them. You can learn really so much. The event is just full of energy. It’s great. Q. How good does it feel to be playing at this level right now? BELINDA BENCIC: Yeah, it feels great. Yeah, I’m just really happy. I’m back. I knew it was still in me, even after the injuries. You cannot just come back like this and play (snapping fingers). Otherwise, it wouldn’t show how good tennis is. Players are playing two, three years constantly on the level, they’re playing semifinals, finals. You cannot just expect to be back after the injury and play like this. I had to work my way back. I knew it was in me, but I’m happy that I could finally show it. Q. Did it feel like a long process for you, longer than perhaps you expected? BELINDA BENCIC: No. Expectation is something I’ve talked about many times before. It’s always when you’re up, people expect you to be back up again. As I said, I had no expectations. My dad came to the court today, he told me one good thing. It was: Do you realize who do you even play, where you play? Be a little bit grateful for that. I think that was good. Q. We think about 2015 Toronto, breaking into the top 10, how much the attention was on you back then. Was there ever a moment that you felt maybe the tour had forgotten you or moved on from you? BELINDA BENCIC: Moved on from me? I mean, I’m not a person who needs attention all the time. If it comes naturally, I don’t mind it, but I’m not forcing it, I’m not looking for it. I had no problem with being in the shadow. Actually it felt really good, playing 25Ks where there is no one there, just you. There’s no stream. There’s just a live ticker. You can play very free. Yeah, there’s no expectation, no attention. It felt good. I also don’t mind this, of course. But it’s not like I needed it. Q. Was it hard to get motivated at the lower level tournaments, nobody there? BELINDA BENCIC: I actually liked it. I think for the comeback, it was the best because it’s not easy if you’re coming back. You was up there, then after injury you play on the big court, everybody is like, She’s back, she needs to win now, this and this. Q. Do you think the fact that you had early success, were young when you made it in the top 10, that could help you because you have dealt with that at an age where not many people did? BELINDA BENCIC: It’s definitely not something new. I think everybody needs to go through this period. There’s a lot of players now, as well, that are in the top 10 that are struggling a little bit because it’s attention, it’s new. They’re just trying to find a way. I’m sure they will find it at some point. I think everybody has to go through it. I went through it a little bit earlier, which I think is an advantage. Yeah, I’m 21 and I feel like I’m so wise (smiling). Victory this week would also bring the Swiss his 100th career title, taking him tantalisingly close to the record 109 titles held by Jimmy Connors. 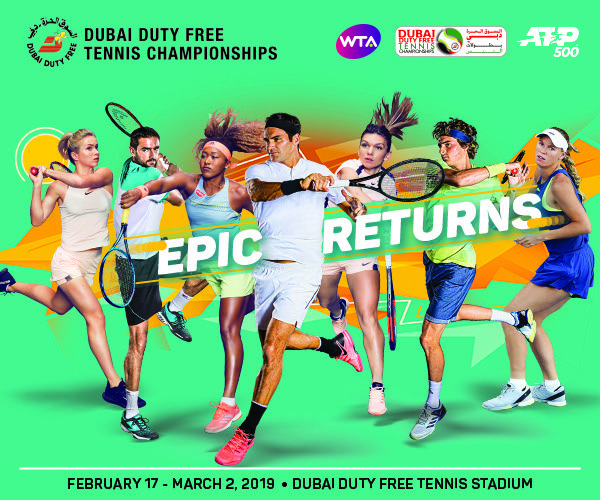 Quotes from Belinda Bencic, Petra Kvitova, and Hsieh/Strycova after the finals of the 2019 Dubai Duty Free Tennis Championships.